What is an Appeal in Court? It is a popular misunderstanding that cases are always appealed. The losing party does not usually have the right to appeal automatically. There should typically be legal grounds for the appeal such as an alleged material error in the trial. An appeal cannot be made merely on the basis of the fact the losing party that did not find the verdict agreeable. SBEMP (Slovak, Baron, Empey, Murphy, & Pinkney) law firm provides professional legal advice and services to clients in Palm Springs, Palm Desert, Rancho Mirage, Inland Empire, Orange County, San Diego, New Jersey, New York, and other towns and cities in these parts of the country. Either party has the right to appeal to a higher court in a civil case. However, in criminal cases, only the defendant has a right to an appeal in a majority of states. Certain states give the prosecution a limited right to appeal to establish specific points of law. These appeals typically take place prior to the commencement of the actual trial. In a normal scenario, appeals by the prosecutor following a verdict are typically disallowed as the prohibition in the U. S. Constitution against double jeopardy or undergoing trial for the same crime twice. There are additional safeguards for criminal defendants convicted in state courts. If they use all of their rights of appeal in state courts, they are eligible to file a writ of habeas corpus in the federal courts to try to showcase that their federal constitutional rights are in violation. In this manner, federal reviews impose a check on any abuse that may have taken place in state courts. An appeal does not refer to a retrial or a new trial of the same case. 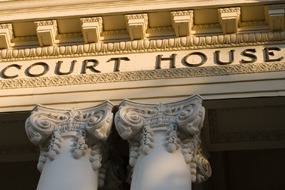 New witnesses or evidence is typically inadmissible in appeals courts. Civil or criminal case appeals frequently find their basis in arguments that were erroneous in the course of the trial or erroneous interpretation of the law by the judge. The party filing the appeal is known as the appellant, or at times, the petitioner. The opposite party is called the respondent or appellee. With the filing of a notice of appeal, the appeal is instituted. At times, an appeals court may decide based only on the written briefs while sometimes they may hear verbal arguments before issuing a decision. Frequently, the court will require an oral argument of the case or a party involved in the case will request for an oral argument. Following the oral argument or presentation of the case for judgment, the judges of the appeals court will have a conference to discuss the case. The decisions issued by appellate courts are usually in a written format, especially when the decision involves a new interpretation of the law or creates a new precedent. During the conference, one judge will be chosen to write an opinion. This opinion may undergo many drafts before a majority of the court is in agreement. In case a judge disagrees with the opinion of the majority, they may issue a dissenting opinion. SBEMP law firm serves clients from Palm Springs, Palm Desert, Rancho Mirage, Inland Empire, Orange County, San Diego, New Jersey, New York, and nearby locations for a range of legal practice areas. For more information or to request a consultation please contact the law offices of SBEMP (Slovak, Baron, Empey, Murphy & Pinkney) by clicking here. SBEMP LLP is a full service law firm with attorney offices in Palm Springs (Palm Desert, Inland Empire, Rancho Mirage), CA; Costa Mesa (Orange County), CA; San Diego, CA; Princeston, NJ; and New York, NY. DISCLAIMER: This blog post does not constitute legal advice, and no attorney-client relationship is formed by reading it. This blog post may be considered ATTORNEY ADVERTISING in some states. Prior results do not guarantee a similar outcome. Additional facts or future developments may affect subjects contained within this blog post. Before acting or relying upon any information within this newsletter, seek the advice of an attorney.